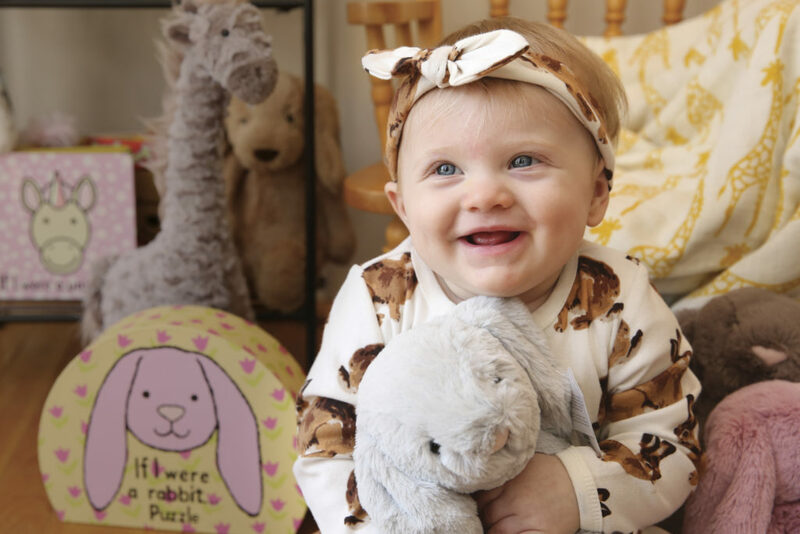 Hop into spring with this stylish onesie for your baby. This adorable piece is just what your youngin’ needs for snuggling up at night, but it can also make a functional daytime outfit! Equipped with these footies, you won’t have to worry about a sock disappearing or being left behind. The matching headband adds to the cuteness overload. Maybe we’re biased, but is she the cutest thing we’ve ever printed, or what?